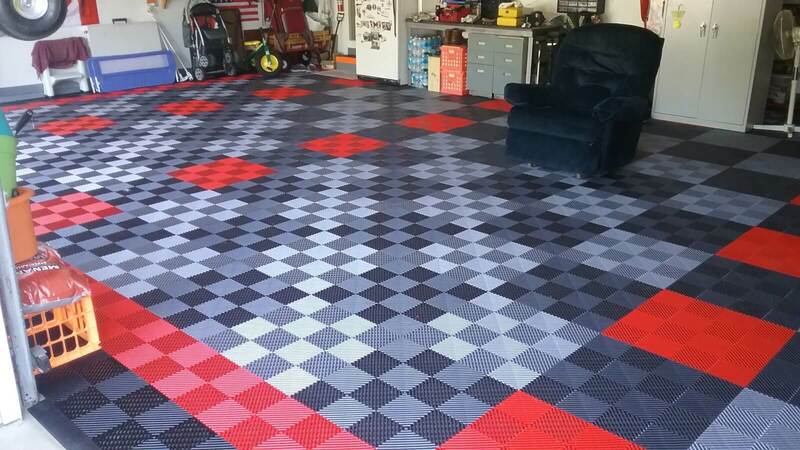 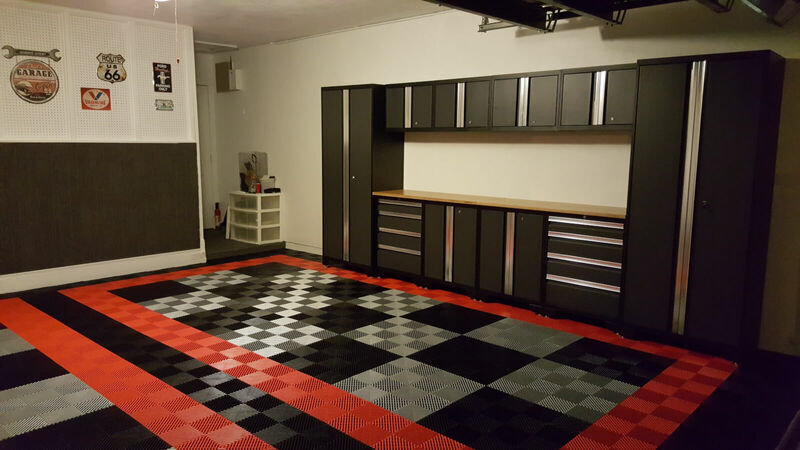 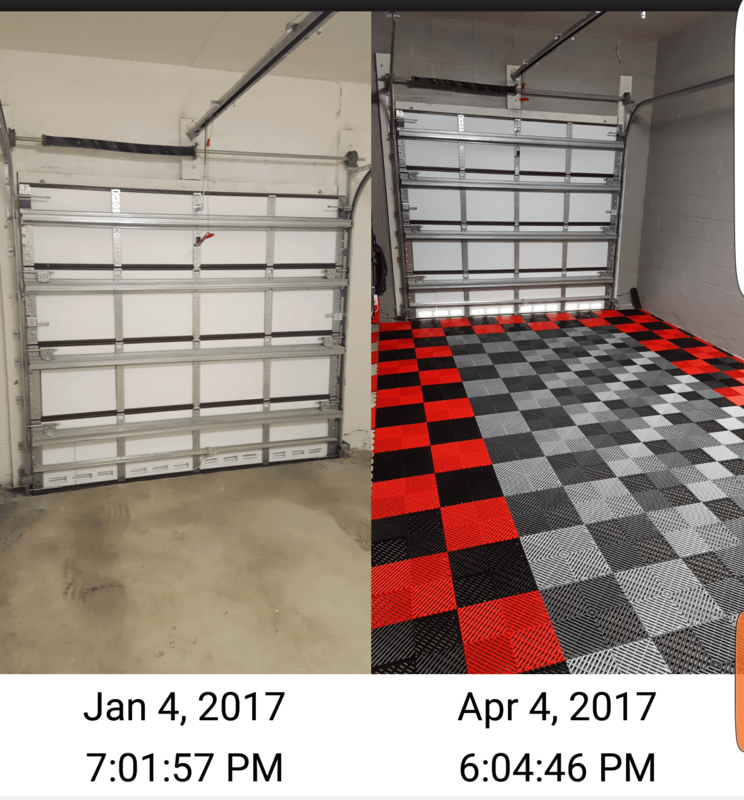 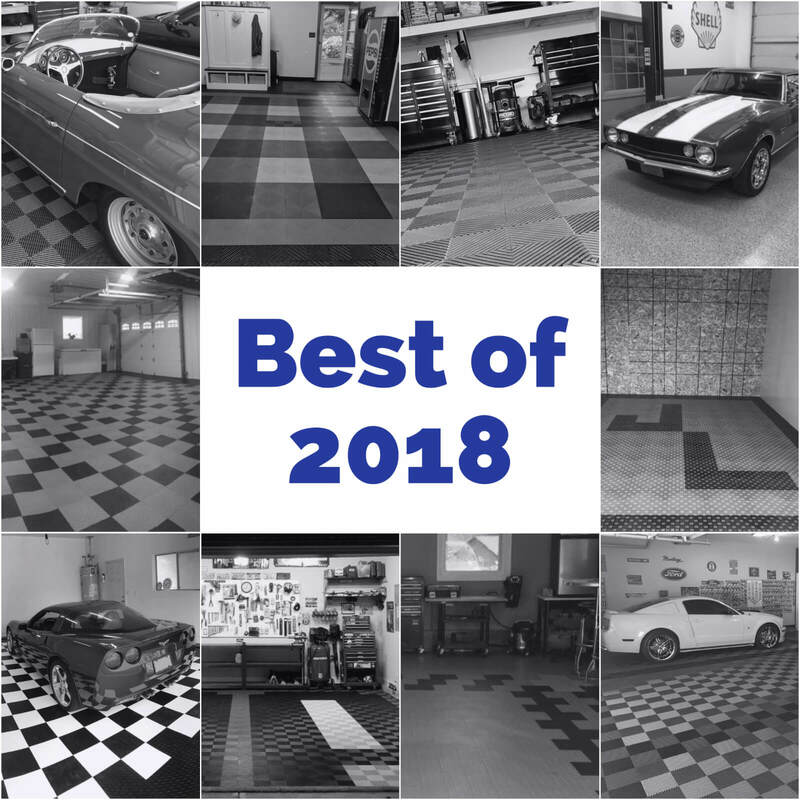 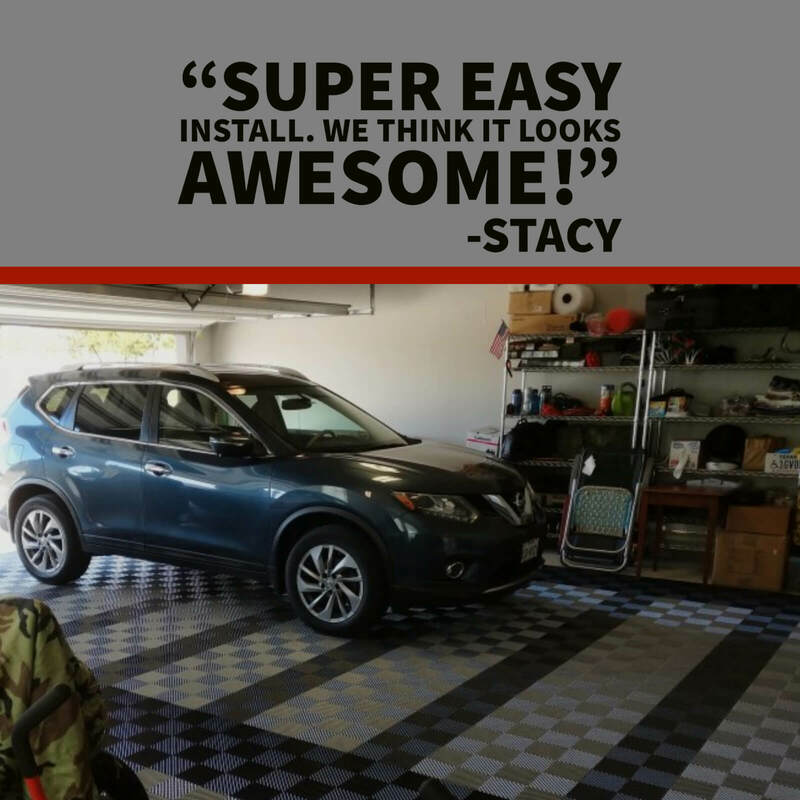 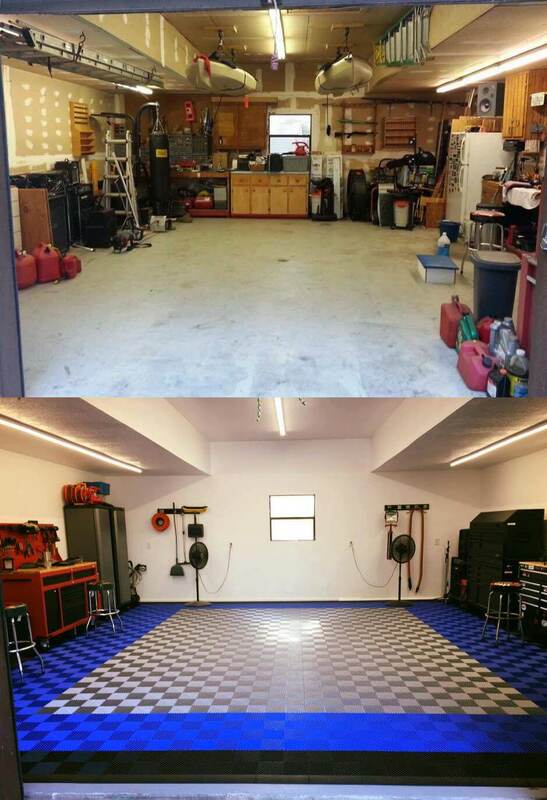 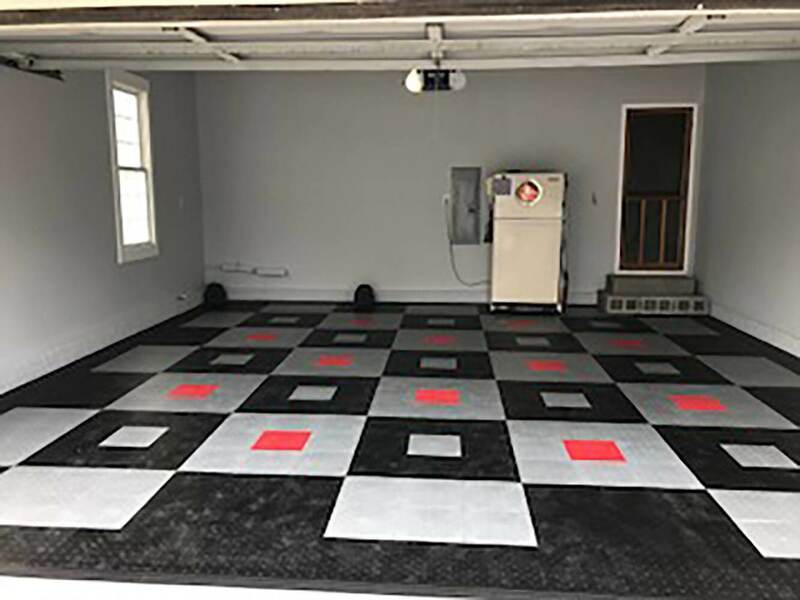 We get a lot of questions about garage floor tiles. 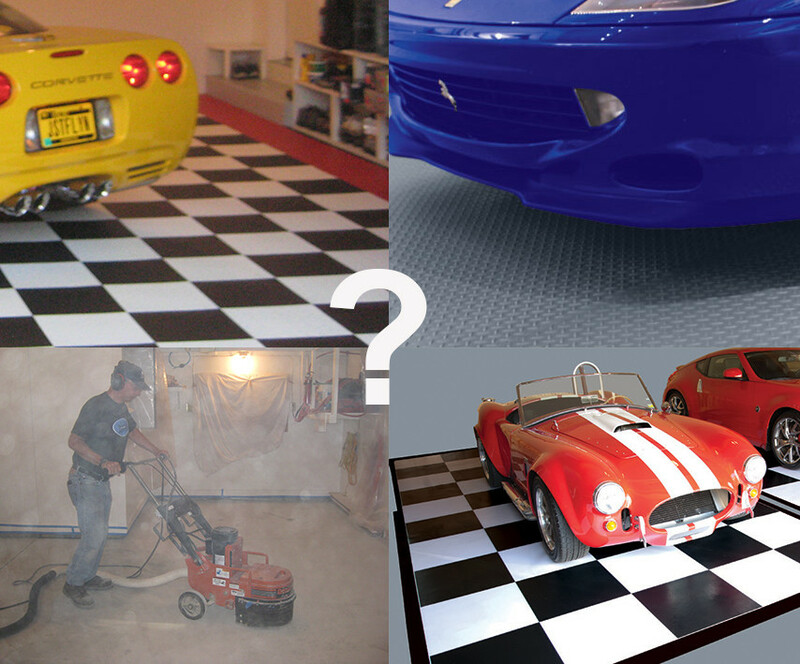 Understand there are a lot of different products on the market and they are definitely not all created equally. 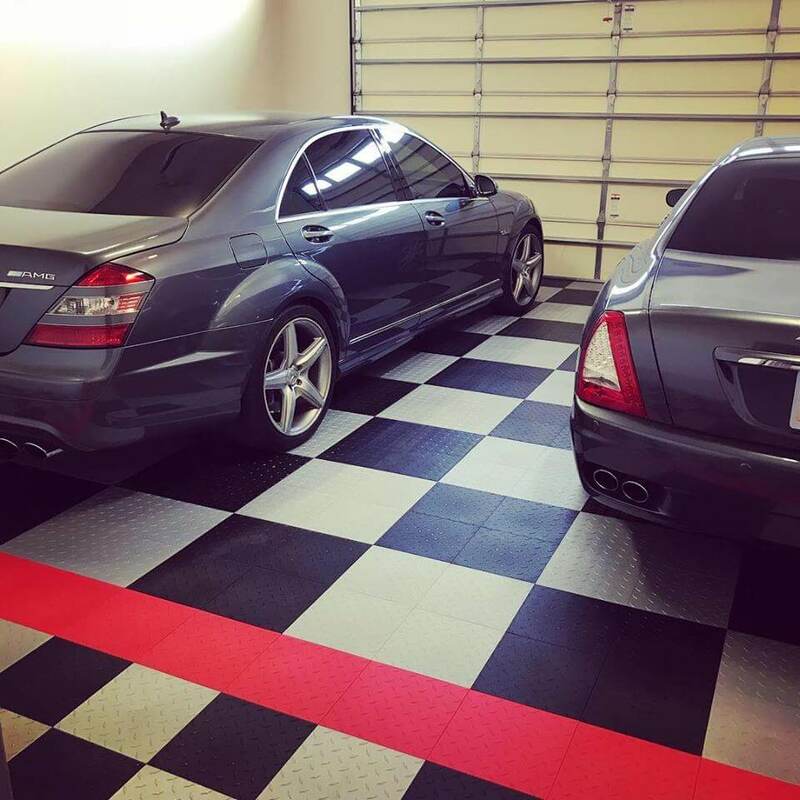 Also keep in mind that we can’t speak for every garage floor tile in every situation. 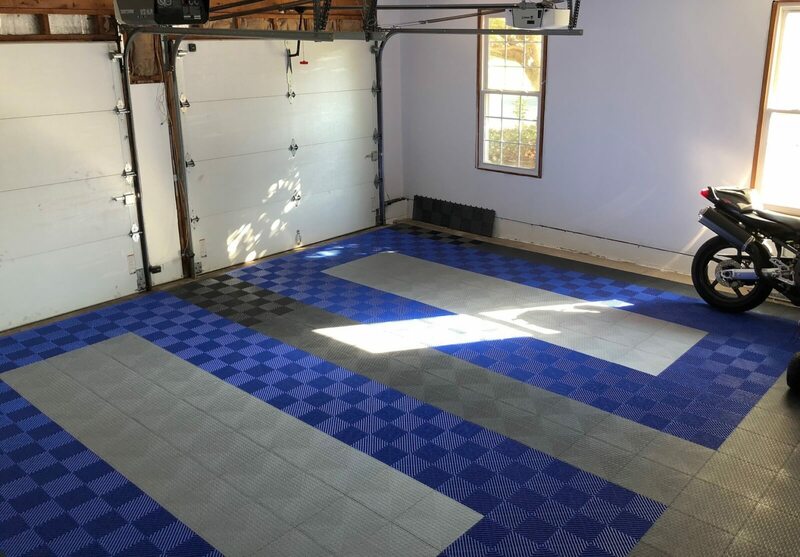 Do Garage Floor Tiles Slide? 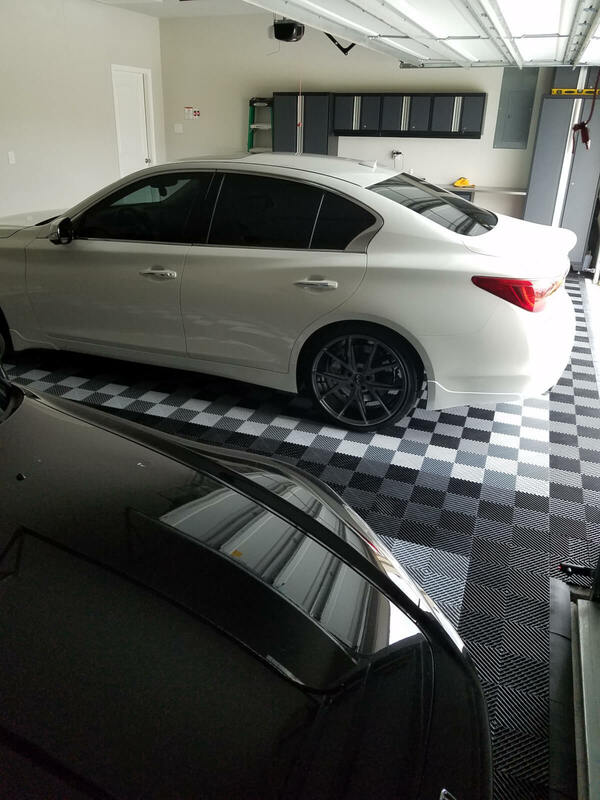 We get asked if garage floor tiles slide all the time. 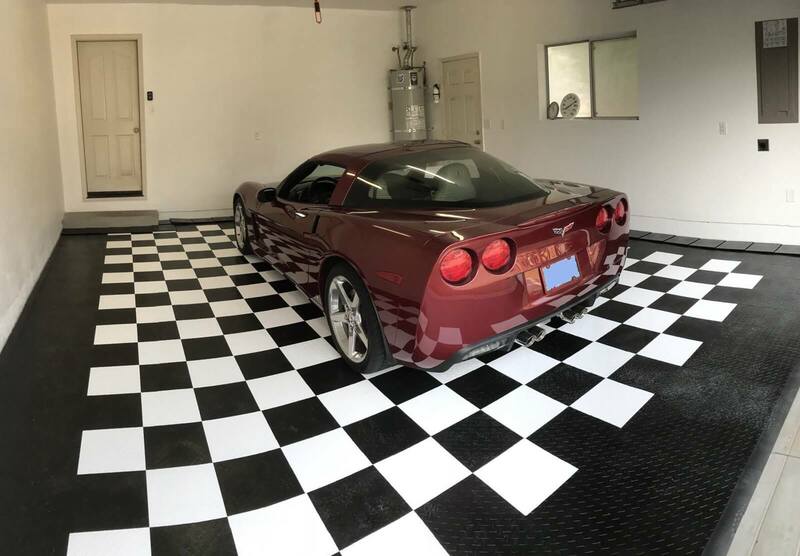 The best answer I can think of is Yes and No. 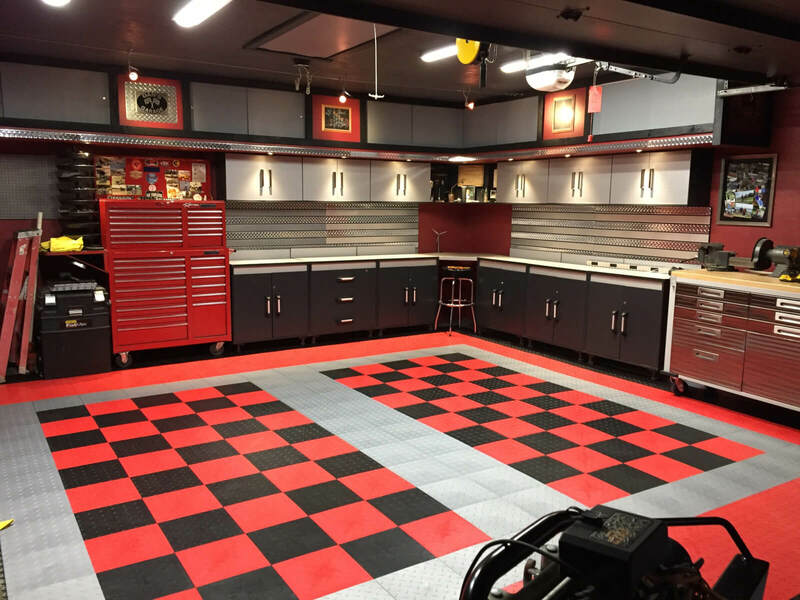 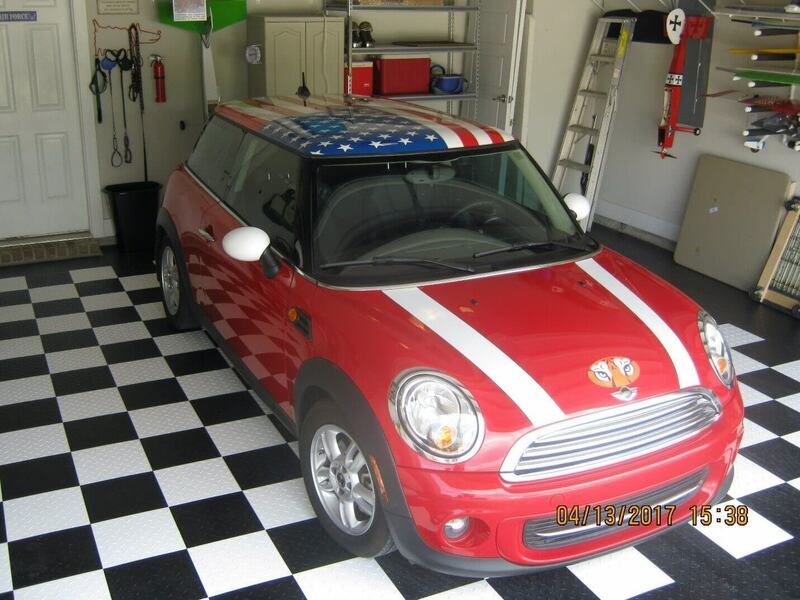 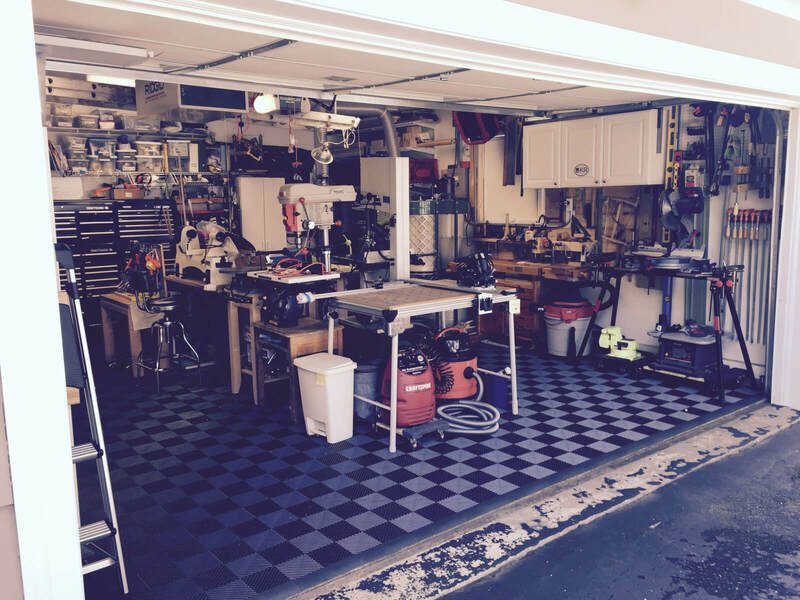 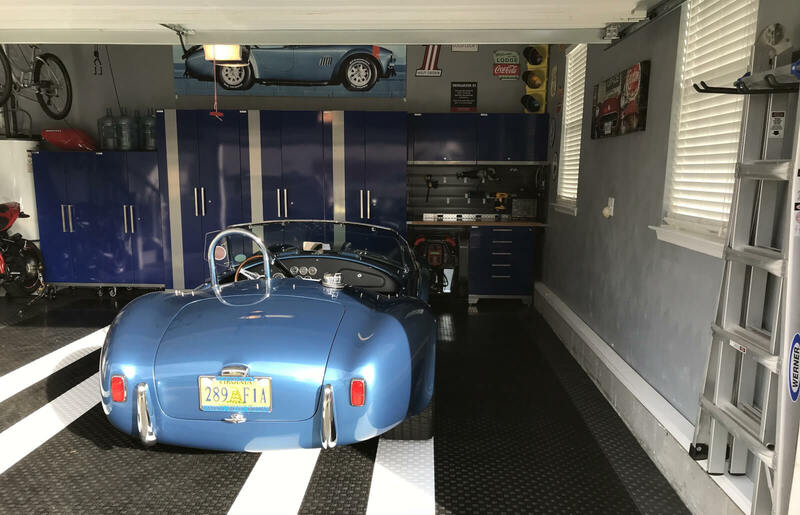 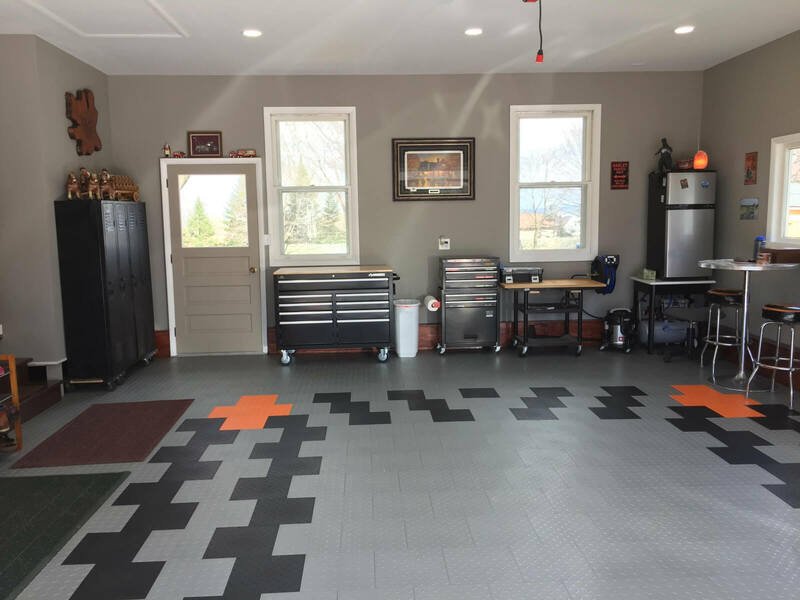 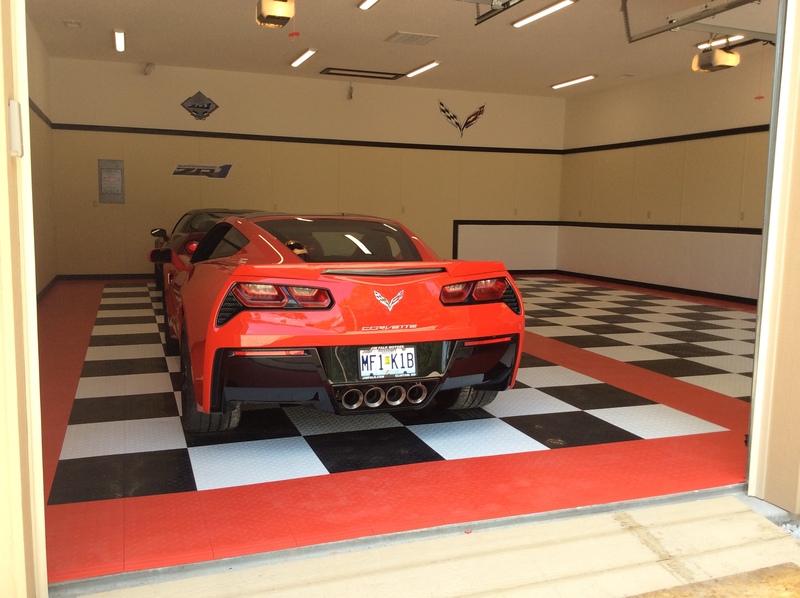 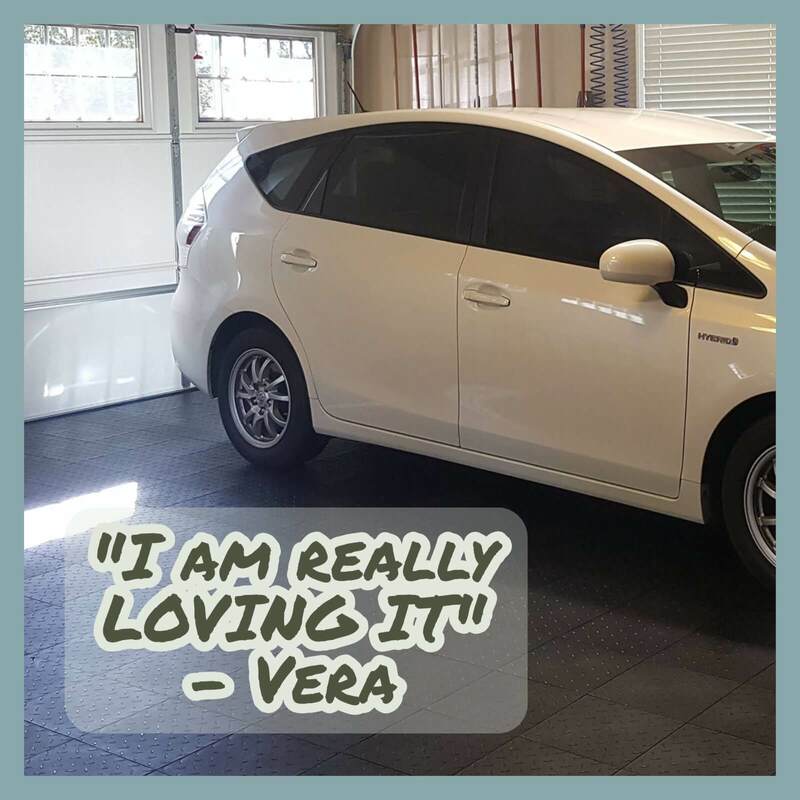 Garage Floor Tiles are simply an extruded plastic of one sort or another. 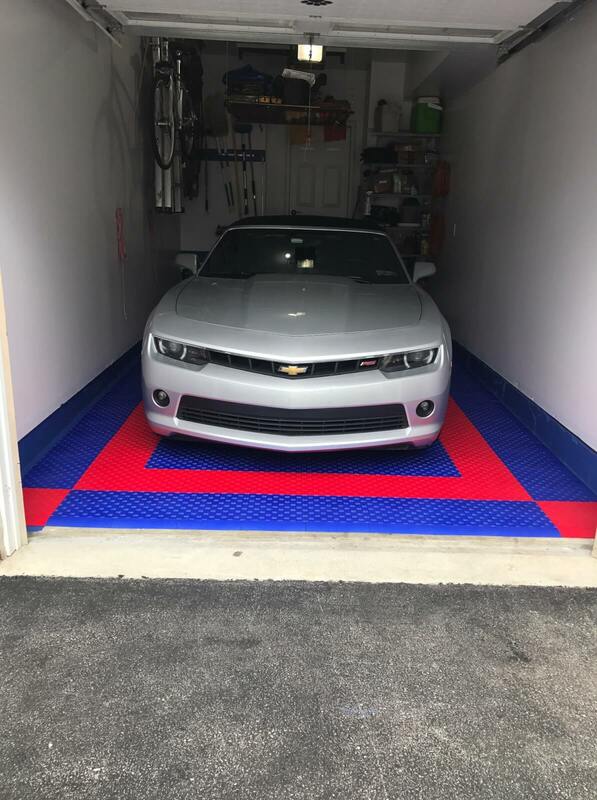 Given the right set of circumstances, yes they will slide. 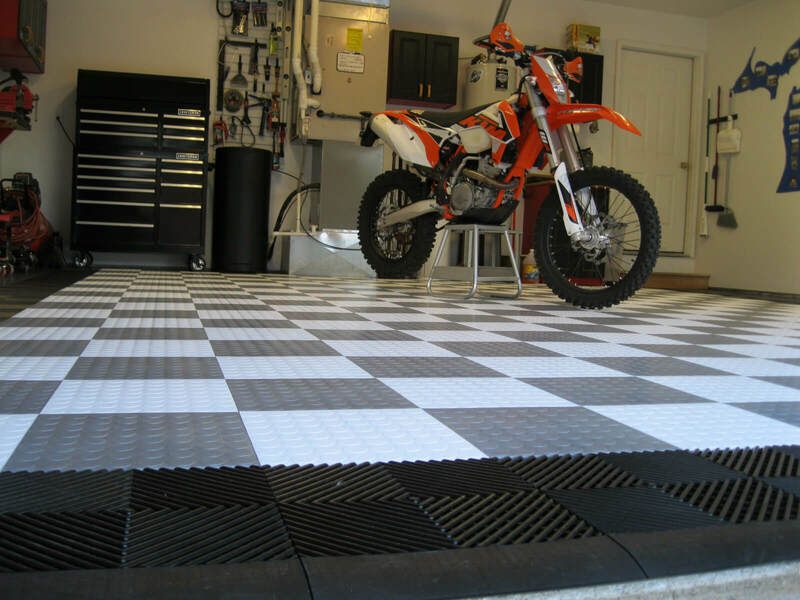 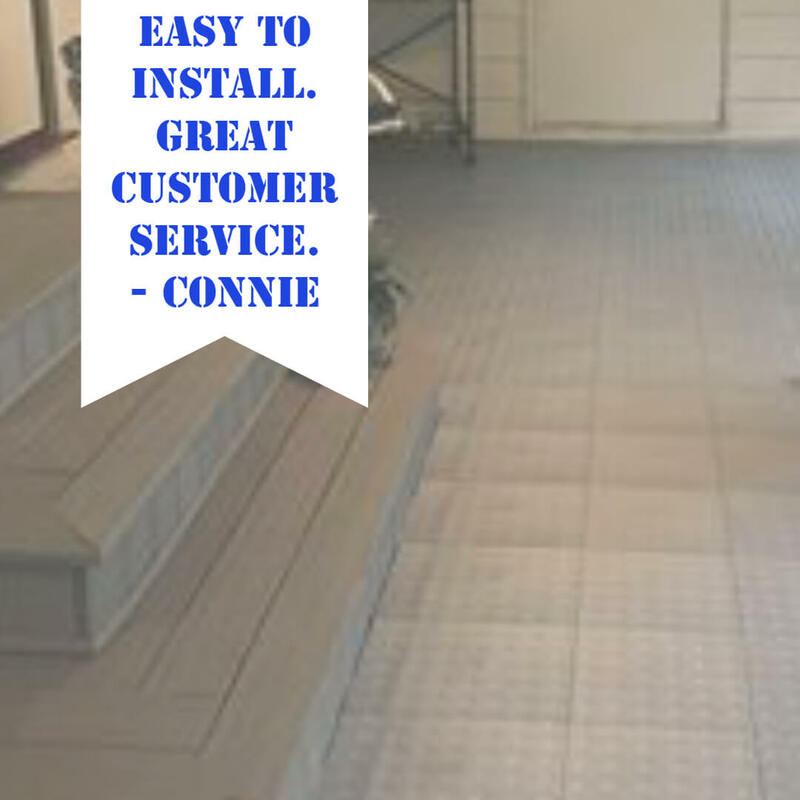 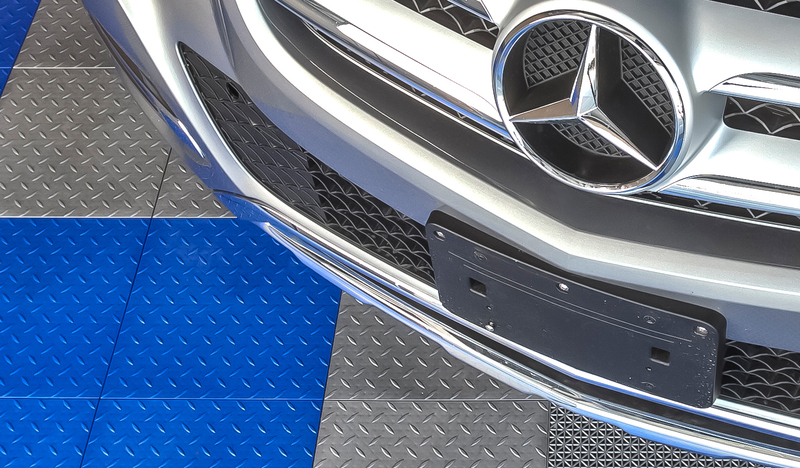 If you use a quality garage floor tile, they will be heavy and that will reduce the risk of sliding. 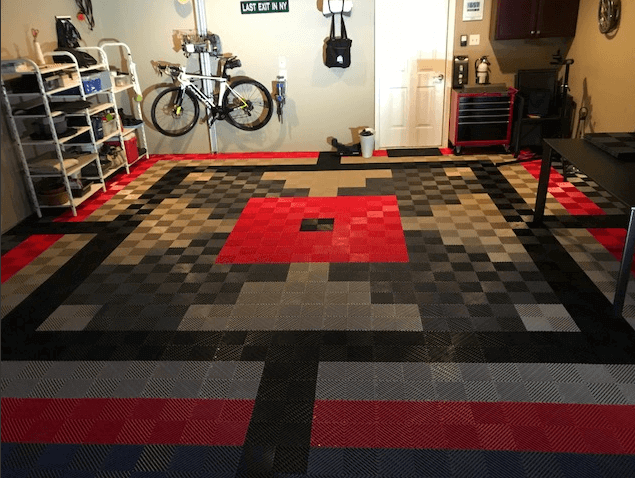 Additionally, the bigger the floor the less chances there are of sliding because there is more mass. 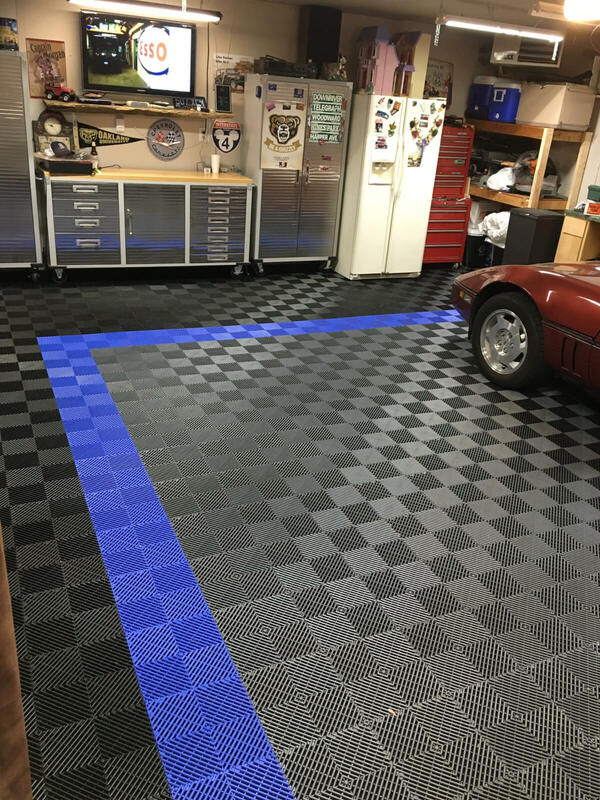 Using the proper edging also reduces sliding. 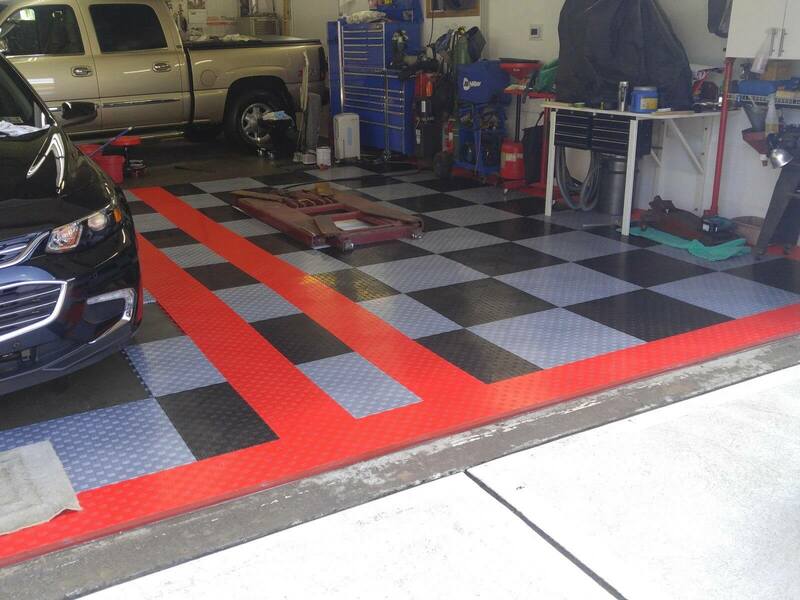 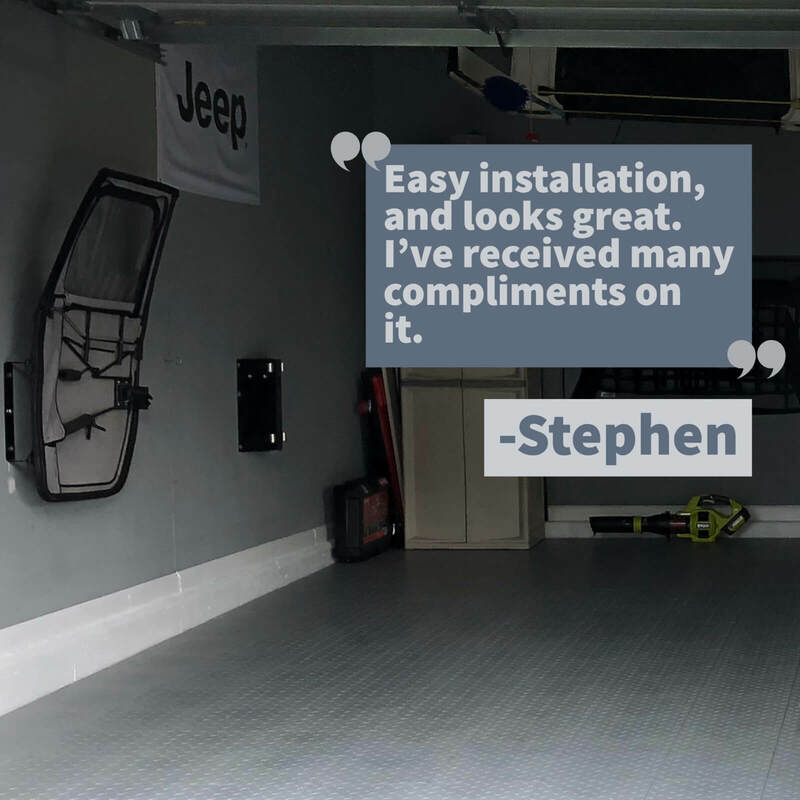 If it is something you are very concerned about ask one of our garage flooring experts about underlayment. 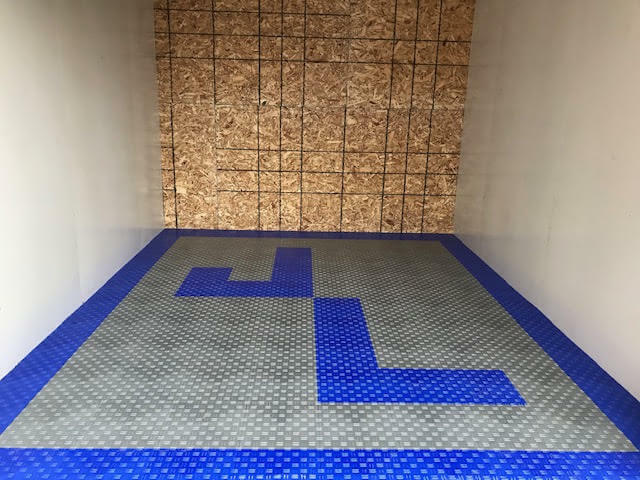 Using a good underlayment is cheap and greatly limits the risk of sliding. 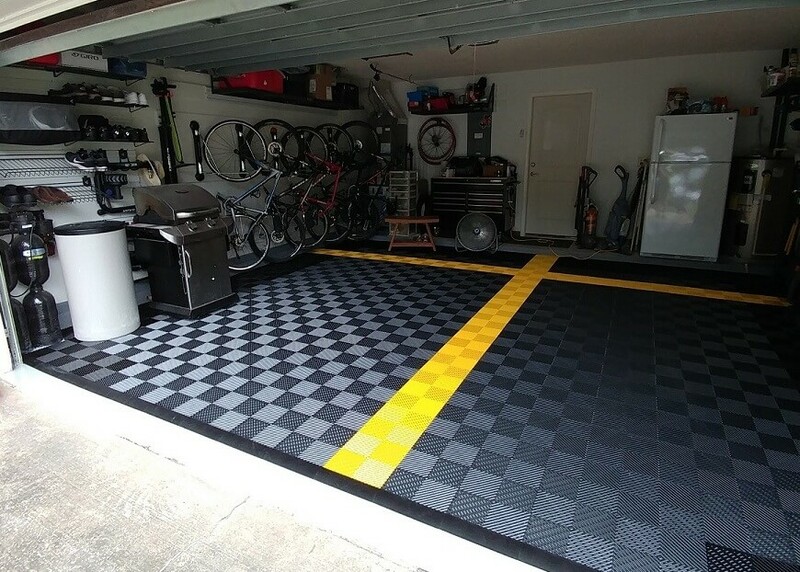 That said, most garage floor tiles floors we sell will not experience that issue. 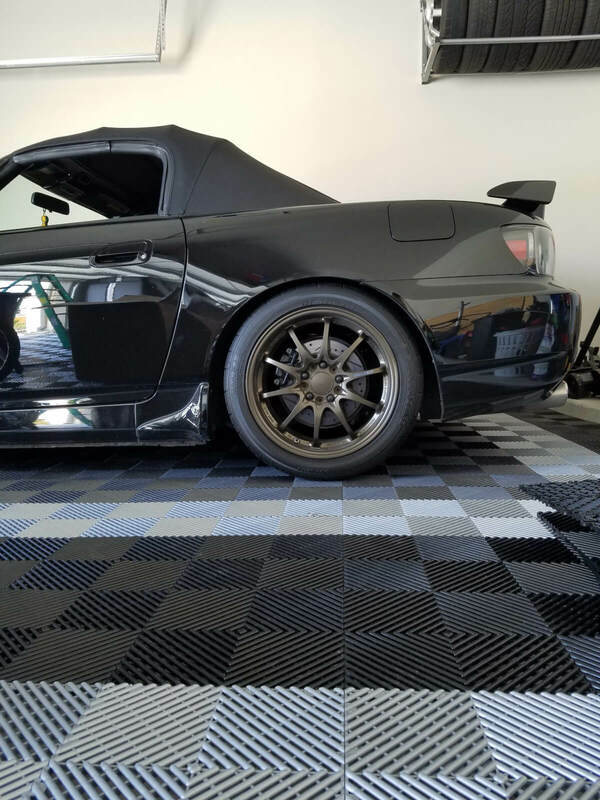 Some tires will leave marks on anything. 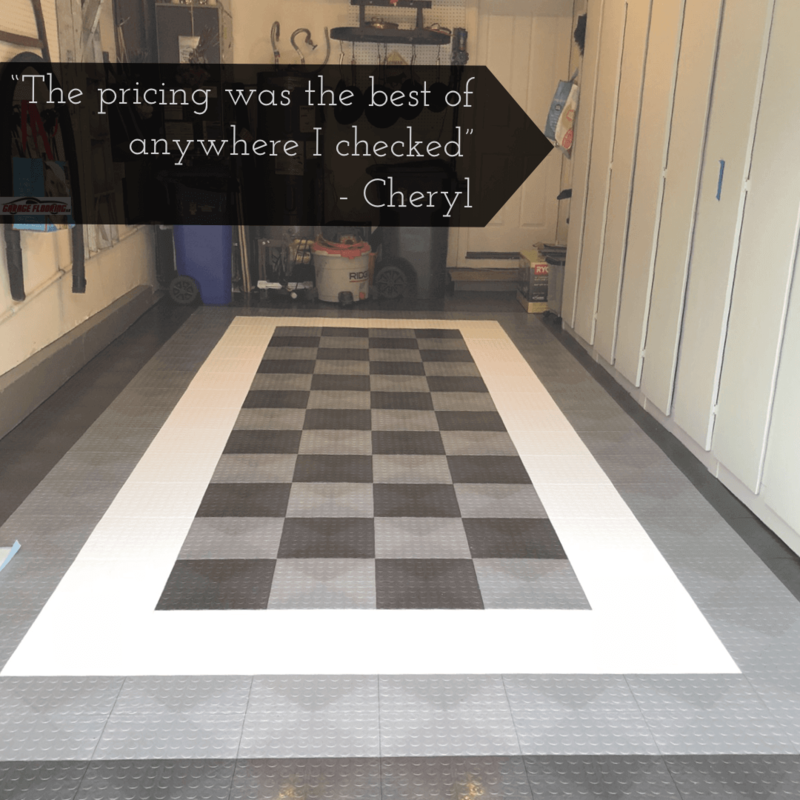 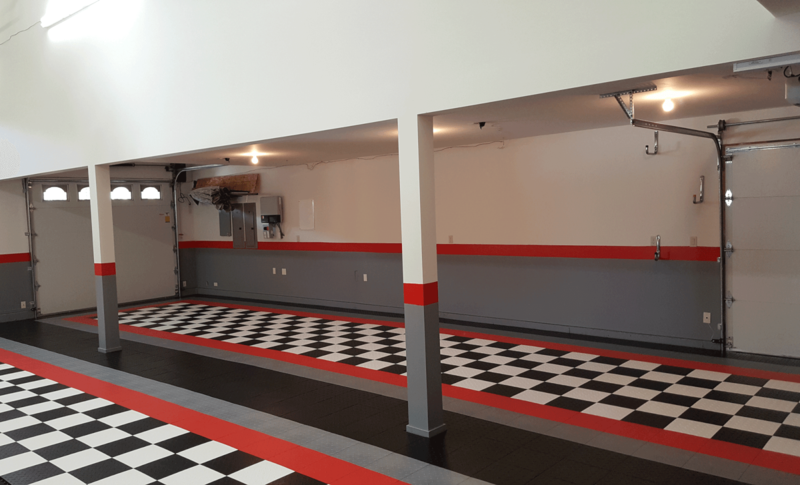 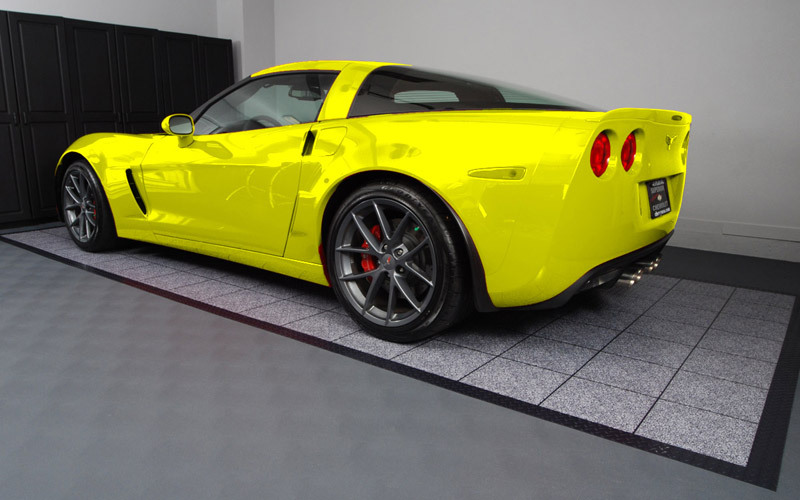 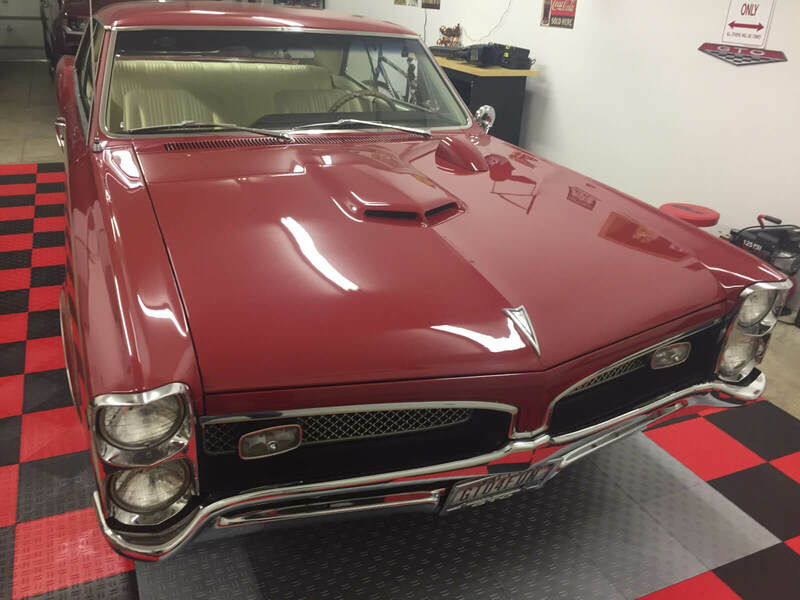 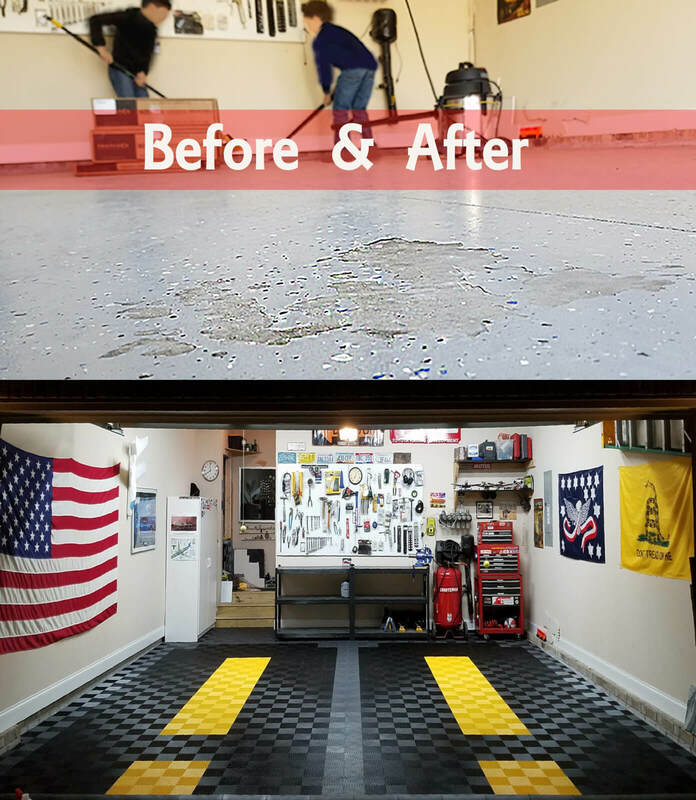 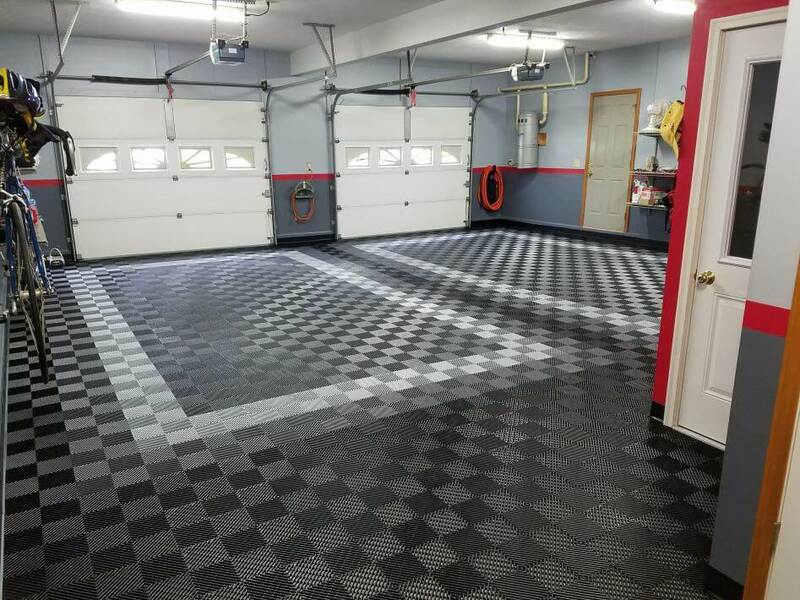 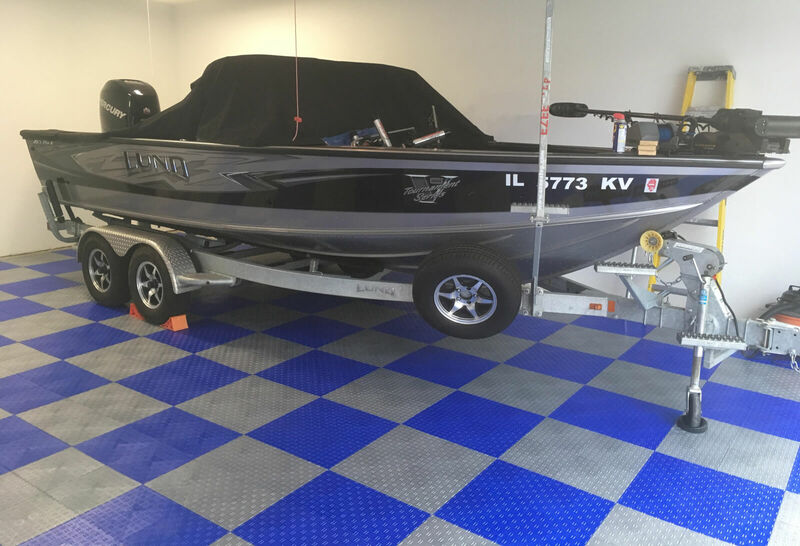 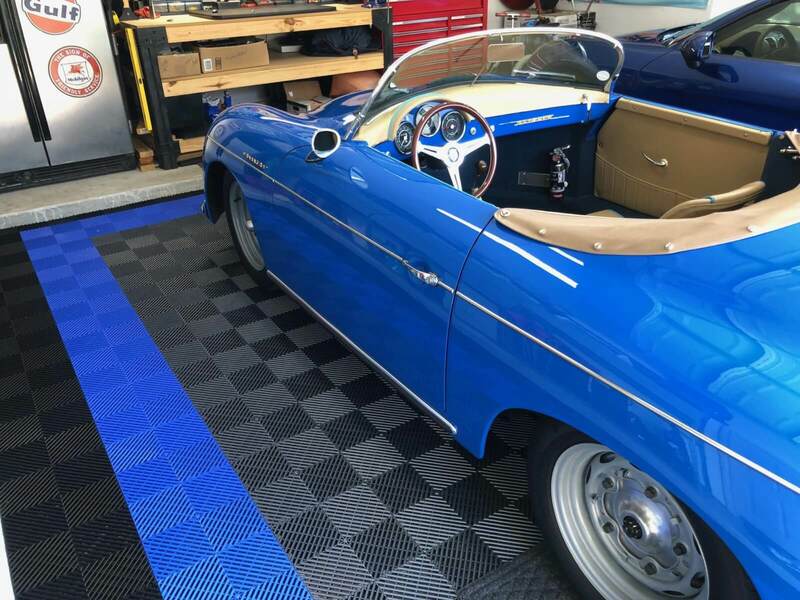 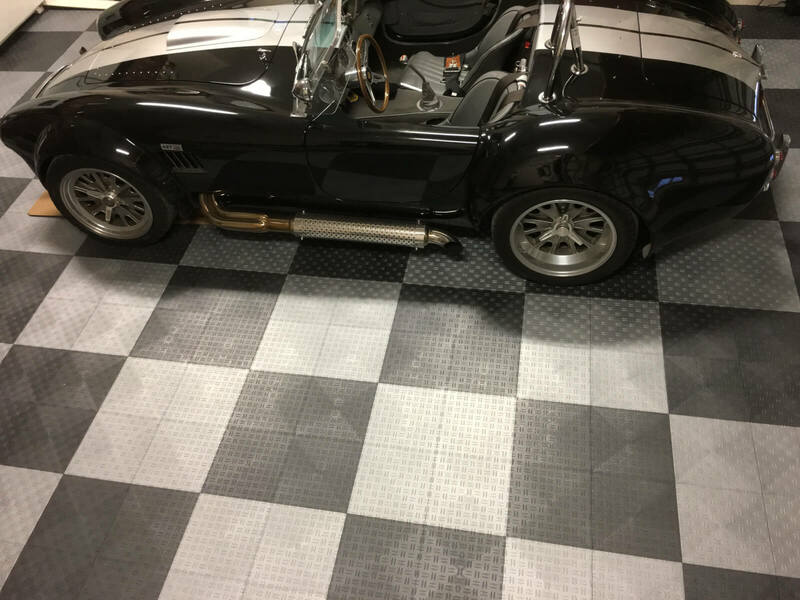 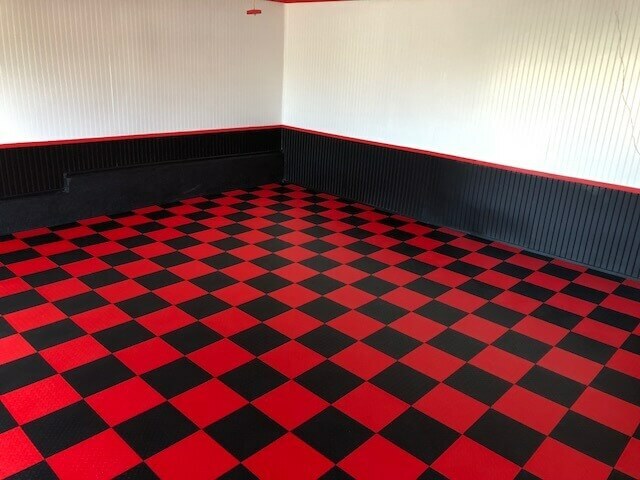 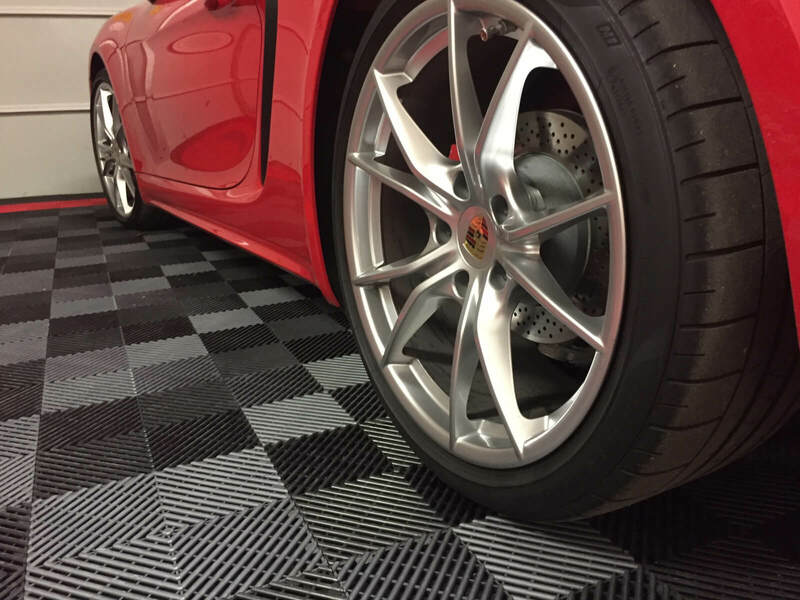 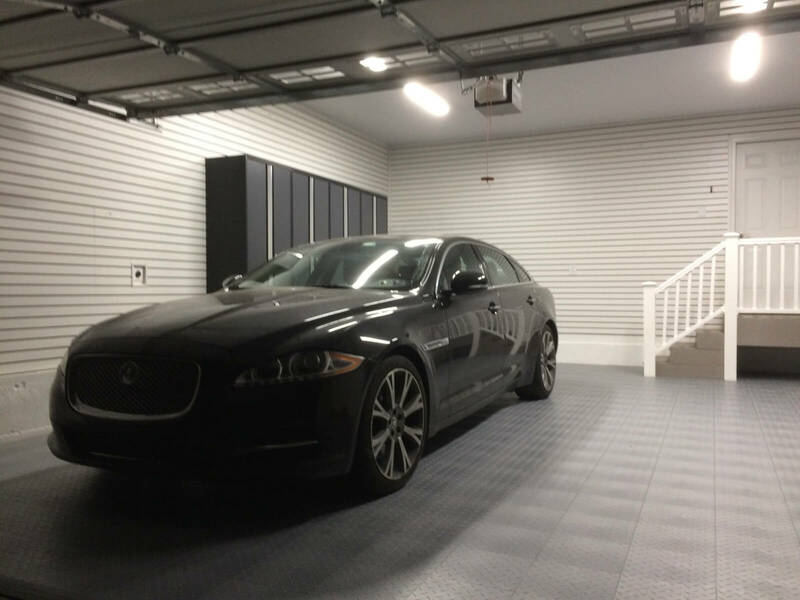 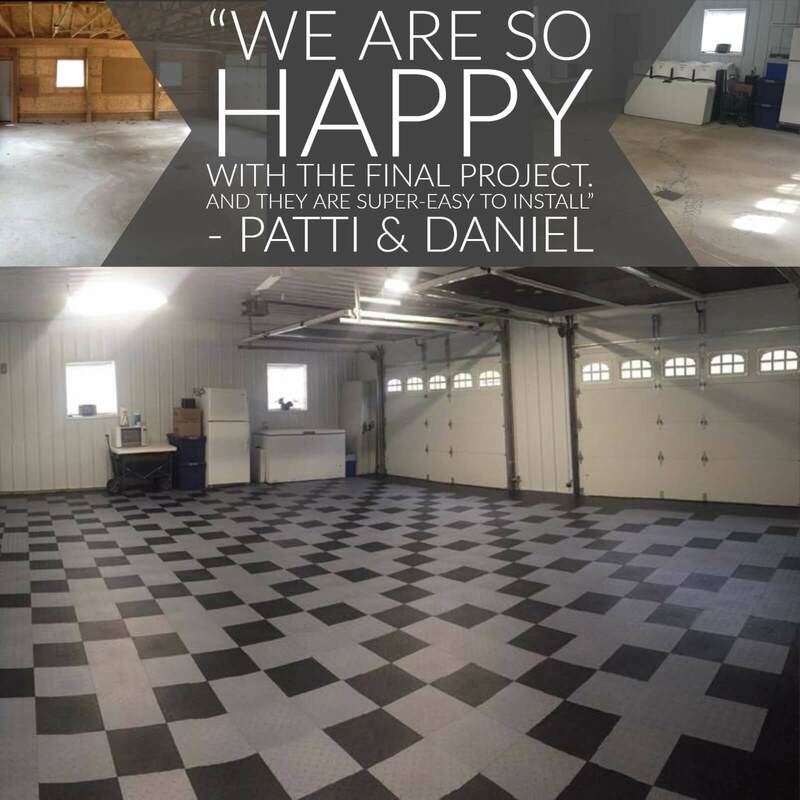 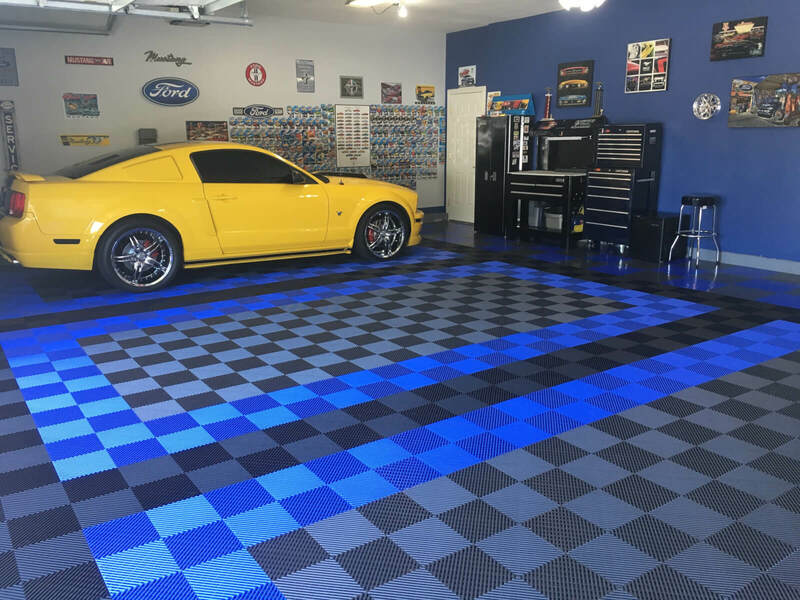 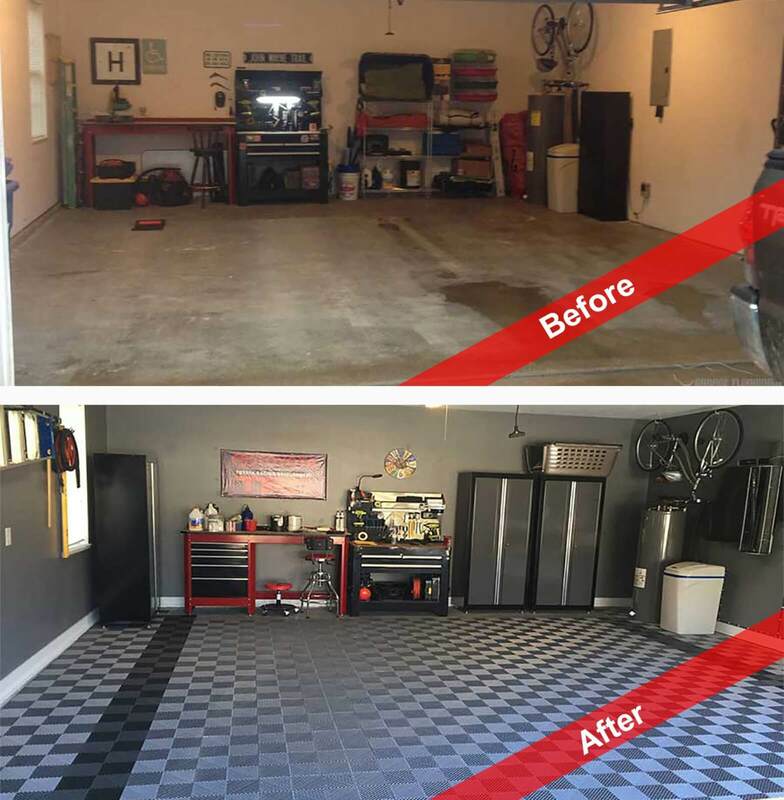 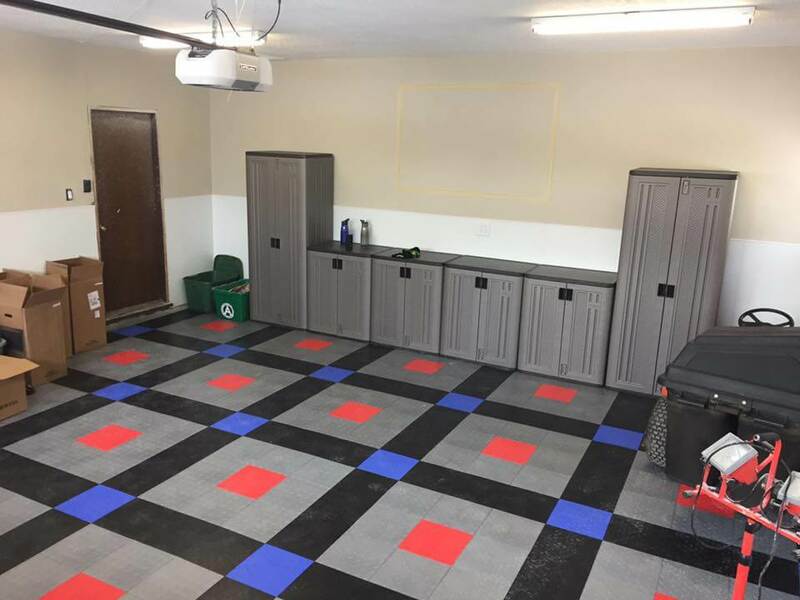 Our premium garage floor tiles can easily be cleaned and will not permanently stain when properly taken care of –under appropriate use and care. 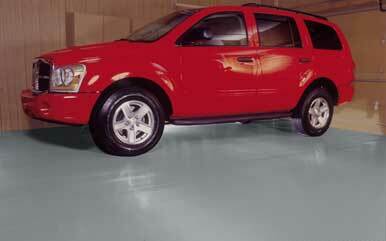 ABSOLUTELY a circular, table or jig saw can cut this product without any issue. 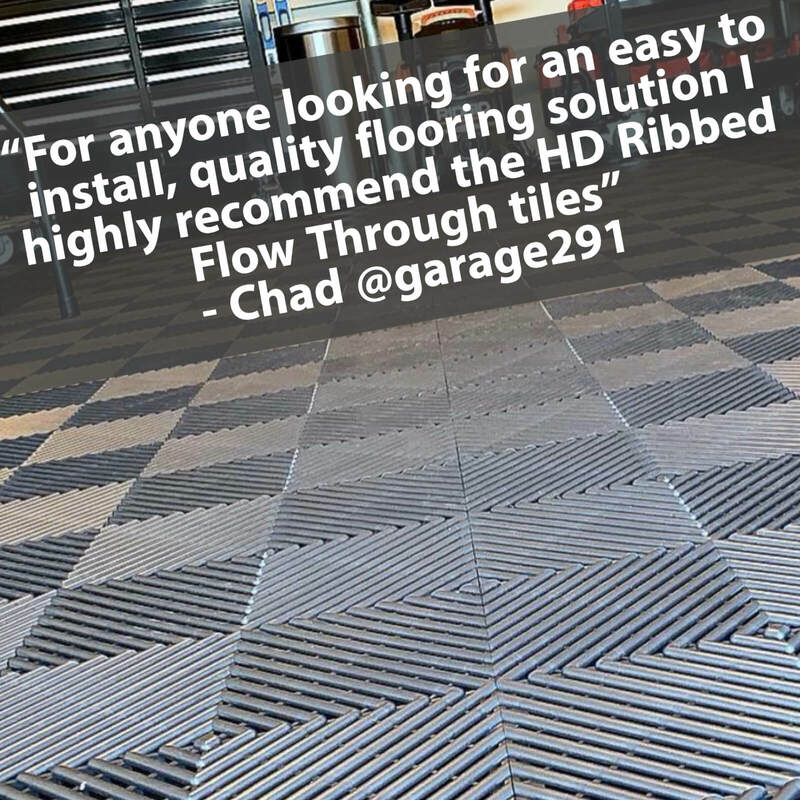 Yes, using a flat head screwdriver, some patience and some elbow grease a tile or section of tiles can be replaced.